Oh no, here we go again. Another product from Acrylic Tank Manufacturing that’s being highly touted. You might remember a couple of years ago, the ‘Tanked’ guys debuted their own line of additives, which seem to have failed at striking a chord with hobbyists as Petco, its largest distributor, put the additives on clearance seemingly nationwide earlier this year. 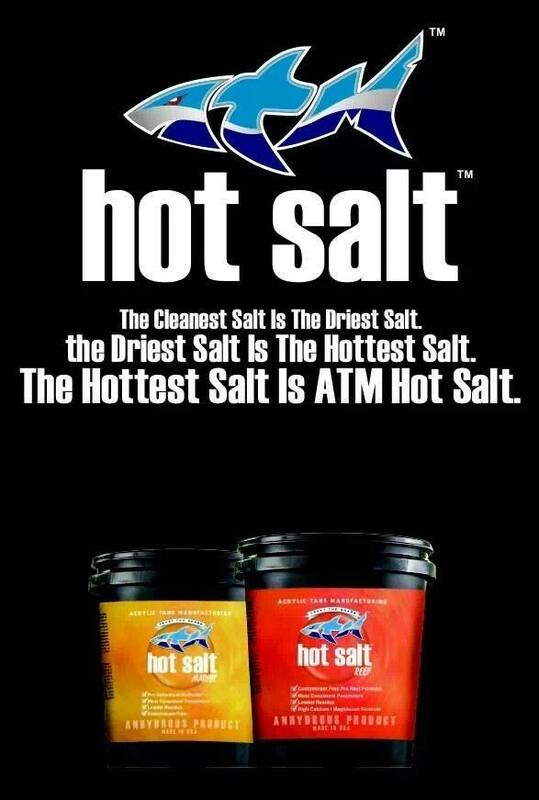 Well, now ATM has debuted their Hot Salt, along with the claim that it is the cleaniest salt around. The advertisement (posted above) claims that the Hot Salt is the driest, and therefore cleanist, salt in the game. They aren’t claiming to be one of the best, or a good quality brand, but in typical ATM fashion claiming the top spot amongst a long list of brands. Whether or not this is true remains to be seen, but we can tell you that the driest salt doesn’t necessairly mean it’s the best or cleanest product out there. If you watch ‘Tanked’, we’re sure you’ll see a bucket or two of this stuff laying around on the show and chances are it will be a prominent staple at many a Petco. These guys are absolute morons. NOBODY in the hobby respects them. Do I still have to put that extra dry salt into water? Waite a minute, that doesn’t make sense. Haha, what a joke.